Most beginners have HUGE problems with the opening preparation. They either spend too much time on a single line trying to memorize it till move 35 or simply get lost in never-ending sub-variations. Sounds familiar? This course will fix it! Most beginners have HUGE problems when it comes to opening preparation. They either spend too much time on a single line trying to memorize it till move 35 or get lost in never-ending sub-variations. Those players spend A LOT of time on openings without seeing RESULTS. Majority of players don't know HOW and WHAT to study when it comes to opening preparation. They get lost in the ocean of information. There are so many choices, lines, variations, styles and strategies that it seems you need a PhD (aka GM-title) to figure it out! You don't need to go over 5-6 four-hundred page books or to absorb 100+ hours of video lessons to play solid openings. All you need is the understanding of basic opening principles and 2-3 reliable opening lines at your disposal. That's it. Those two things are sufficient to keep you out of trouble at the club level! 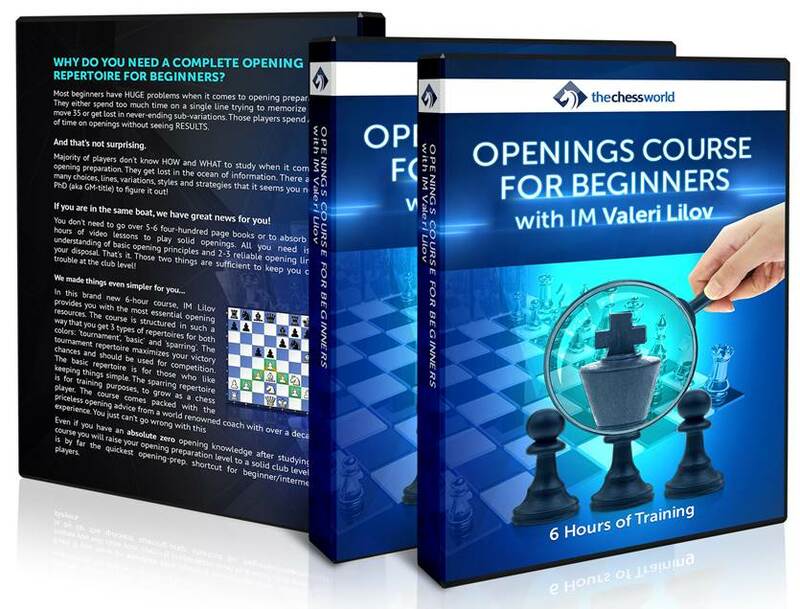 In this brand new 6-hour course, IM Lilov provides you with the most essential opening resources. The course is structured in such a way that you get 3 types of repertoires for both colors: 'tournament', 'basic' and 'sparring'. The tournament repertoire maximizes your victory chances and should be used for competition. The basic repertoire is for those who like keeping things simple. The sparring repertoire is for training purposes, to grow as a chess player. The course comes packed with the priceless opening advice from a world renowned coach with over a decade of experience. You just can’t go wrong with this! Even if you have an absolute zero opening knowledge after studying this course you will raise your opening preparation level to a solid club level. This is by far the quickest opening-preparation shortcut for beginner/intermediate players. How to learn an opening without need to spend weeks on opening preparation? How to find and play the strongest opening moves even if you encounter unknown lines? How to improve at chess by using the sparring repertoire? How to setup an opening repertoire that fits your style, level, and goals? Instant download of 6+ hour video course that will teach you all the opening theory a club player needs to know. Even if you hate openings and have 0 knowledge, this course will take you to club player’s opening strength. This course provides you with two complete opening repertoires – for white and black. 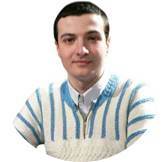 On top of that you get access to ‘tournament’, ‘basic’, and ‘sparring’ variations of those repertoires. This is pure gold for any club player! Download examples covered in the video course in PGN notation, so that you can analyze it at your convenience. Lines against 1.c4, 1.Nf3, etc. If you answered “yes” to any of the questions above this course is for you! Even if you are an intermediate level player, but feel like you struggle a lot with the openings this course is the chance! Don’t grab the Calculus book until you get your Algebra straightened out! This course is “Algebra I” for Chess Openings. If you have trouble learning openings, end up in terrible middlegame positions or simply want to play good lines that bring RESULTS this course is exactly what you need. It is simple, yet very effective for club level. This course was created with the single idea in mind - win games, simple and easy.